Rent Becker Vineyard | Corporate Events | Wedding Locations, Event Spaces and Party Venues. Celebrating 20 years of viticulture & award winning winemaking in the heart of the Texas Hill Country Wineries. 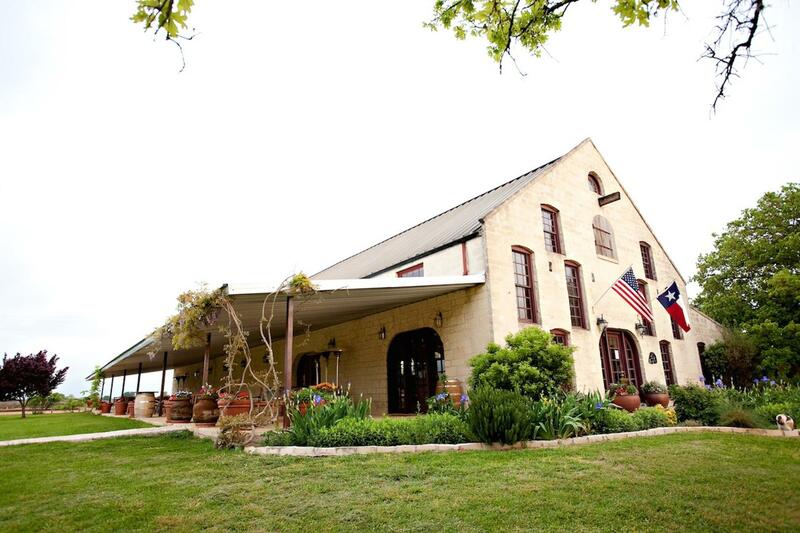 Becker Vineyards' winery is a 10,000 square foot reproduction of a late 19th century German stone barn, a style prevalent in the Texas Hill Country. Since first opening in 1996, two winery expansions have taken place to accommodate 64 tanks and over 2000 barrels. The winery is the largest purchaser of French and American Oak barrels in Texas. Used barrels are often for sale but go quickly, please call the tasting room for availability. Expand your next celebration to include a custom winery experience at Becker Vineyards. Enhanced wine tastings, vintner lunch, afternoon celebrations, Library tastings and custom event options are available. Consider hosting your closest friends and family at the winery for your next birthday, anniversary celebration or reunion. In search of an out-of-the-ordinary and unique location for your next corporate outing or event? Then look no further. Becker Vineyards can offer a change from the monotonous hotel meeting space or board room and provide an enhanced winery experience for your next gathering. Begin your conference with a welcome reception and wine tasting or treat the board of directors to a library tasting and vintner lunch, finish the experience with custom gift baskets or autographed bottles of wine for each attendee. Please note that event spaces do not have Wi-Fi access, but air cards work successfully. We will be happy to help tailor an event that is right for you and your compay.